Gunn earned his bachelor's degree at Rice University in Houston, Texas, in 1961, and his Ph.D. from the California Institute of Technology (Caltech) in 1966. He joined the faculty of Princeton University two years later. 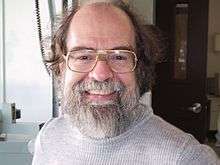 Subsequently, he worked at the University of California at Berkeley and Caltech before returning to Princeton. He is married to the astronomer Gillian Knapp and they have two children, Humberto and Marleny Gunn. ↑ Kitta MacPherson (17 September 2009). "Gunn wins National Medal of Science". Princeton University. Retrieved 2009-09-17.